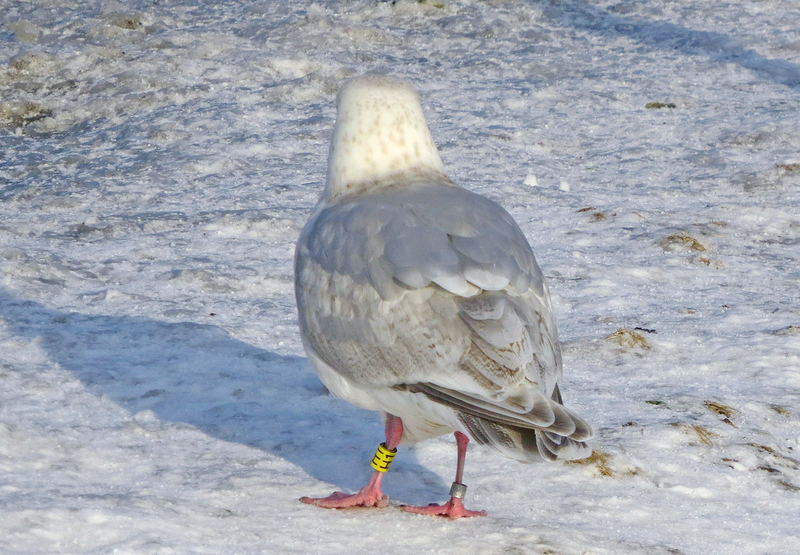 Yellow H1 and Fed band no 1106-23060, banded in winter on January 18 2013, in St. John's, Newfoundland (LAT: 47.80833; LON: -52.80833). 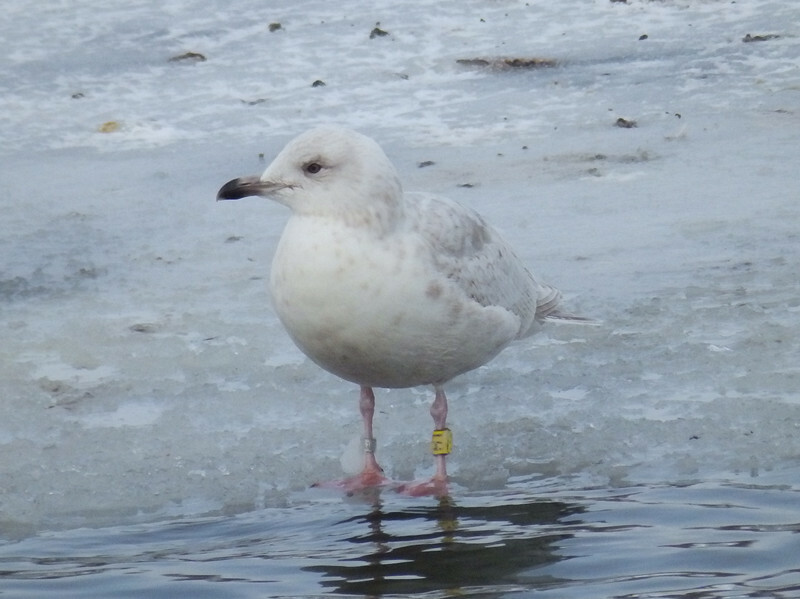 below: Iceland Gull (kumlieni) H1 4th cycle (4CY), December 24 2015, Quidi Vidi Lake, St. John's, Newfoundland. Picture: Lancy Cheng. Age 4th cycle: showing just some black on the bill. Much pigment in wingtip. Paler iris. 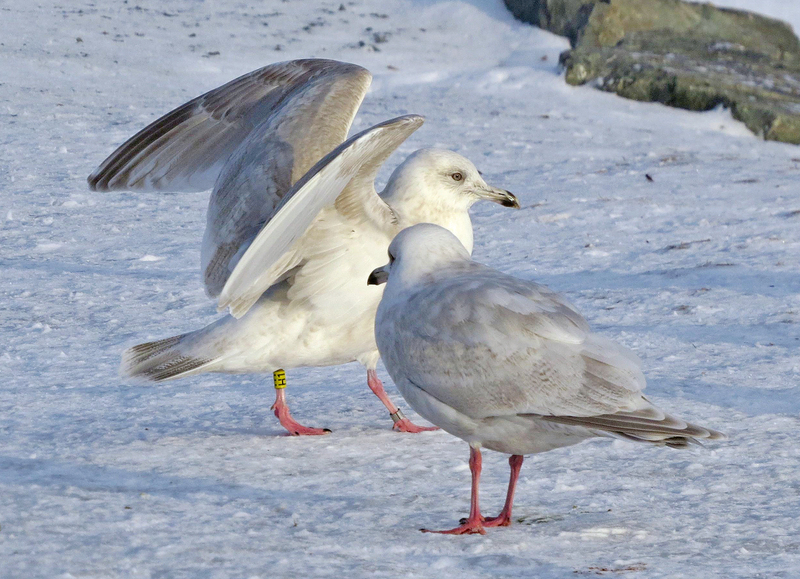 below: Iceland Gull (kumlieni) H1 3rd cycle (4CY). January 24 2015, Quidi Vidi Lake, St. John's, Newfoundland. Picture: Alvan Buckley. Difficult bird to age correctly as the central primaries look much retarded in pattern (much vermiculation, normally birds of this age have more adult-like primaries). 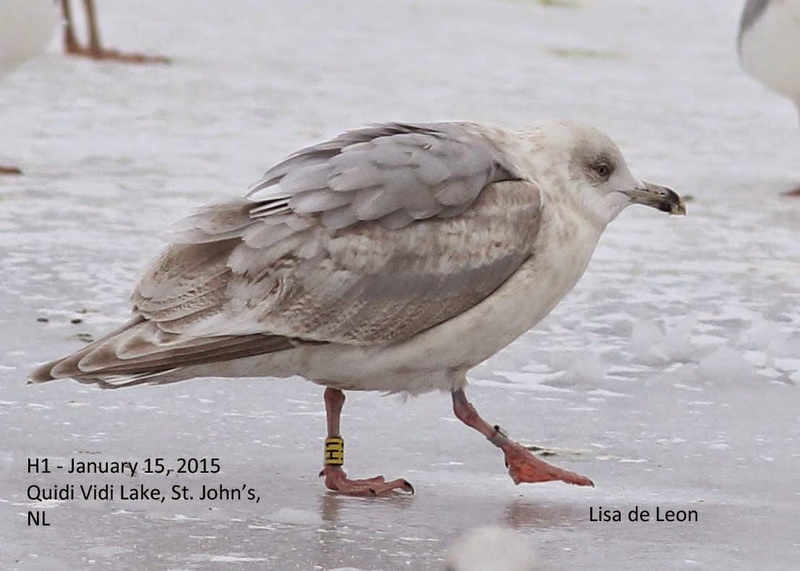 below: Iceland Gull (kumlieni) H1 3rd cycle (4CY), January 15 2015, Quidi Vidi Lake, St. John's, Newfoundland. Picture: Lisa de Leon. Very barred on coverts and tertials. 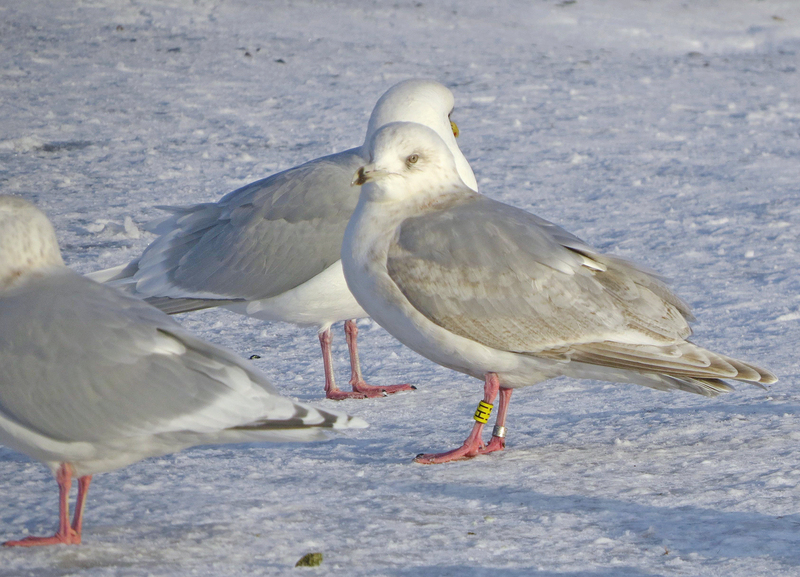 below: Iceland Gull (kumlieni) H1 3rd cycle (4CY), January 11 2015, Quidi Vidi Lake, St. John's, Newfoundland. Picture: Alvan Buckley. Third cycle bird with 3rd generation primaries, but overall still very immature, retarded in plumage development. Most scaps greyish now.Note browad white tips and grey centres on secondaries, just visible. 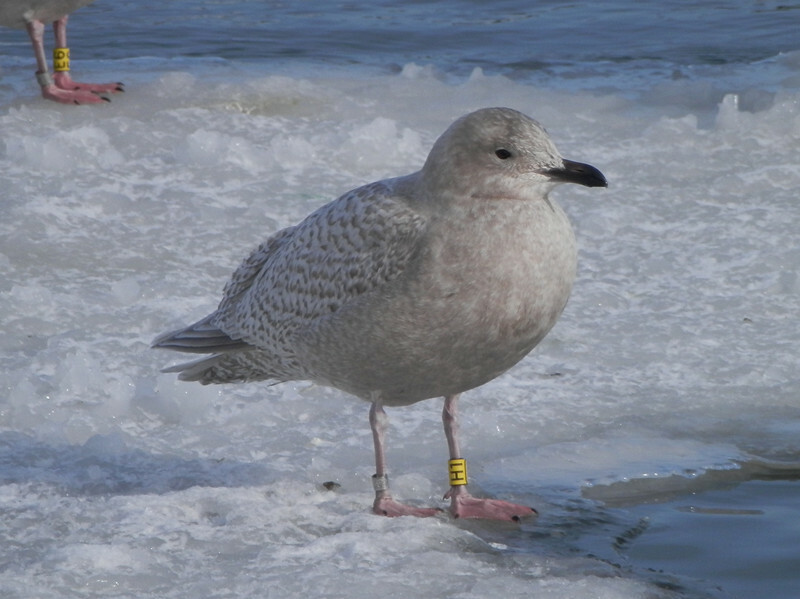 below: Iceland Gull (kumlieni) H1 2nd cycle (3CY). February 08 2014, Quidi Vidi Lake, St. John's, Newfoundland. Picture: Lancy Cheng. Second cycle bird with 2nd generation primaries. Few greyish scaps coming through. At this age there is often a difference between the pattern on the median coverts and central greater coverts. Iris turning slightly paler. 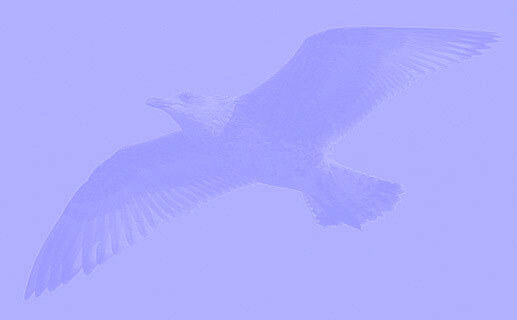 below: Iceland Gull (kumlieni) H1 1st cycle (2CY). February 03 2013, Quidi Vidi Lake, St. John's, Newfoundland. Picture: Lancy Cheng. Age 2cy: showing dark bill with slightly pale base, dark iris. See how the shade of grey on the outer primaries may change with the relative angle between observer and bird! 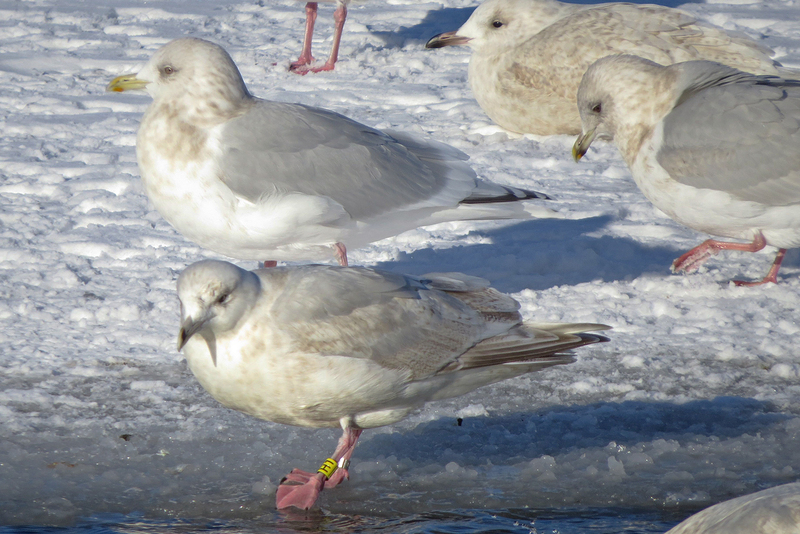 below: Iceland Gull (kumlieni) H1 1st cycle (2CY), January 24 2013, Quidi Vidi Lake, St. John's, Newfoundland. Picture: Peter Adriaens.